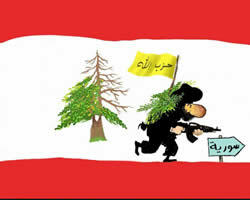 Hezbollah storms into Syria and drags Lebanon in along with it (Dawlati blog, June 6, 2013). 1. To date, Hezbollah's involvement in the Syrian civil war has led to more than 200 of its operatives' being killed and several hundred of them wounded, most of them during the campaign for Al-Qusayr. 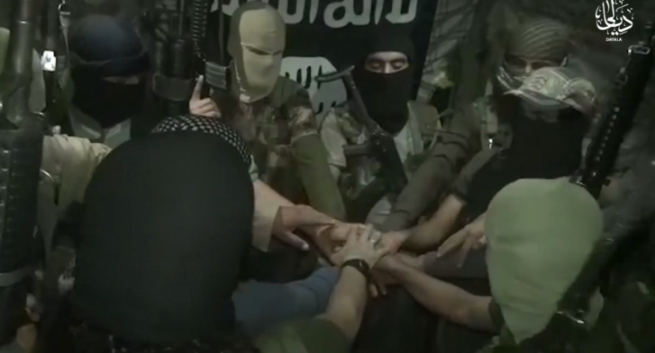 The estimated number is based on names and pictures of Hezbollah operatives published in the media. We recently located names and photos of 23 additional Hezbollah operatives killed in Syria between the end of June and the end of July 2013. They can be added to the original 180 names located and documented by the Intelligence and Terrorism Information Center. 2. Most of the Hezbollah operatives killed this past month were fighting in support of the Syrian army and security forces in the battles in the environs of Homs and Aleppo (where, in our assessment, the forces of the Syria regime had success). It was also reported that eight operatives (about a third of the total killed during the month) were killed in the ongoing clashes around the grave of Al-Set Zaynab, south of Damascus, where Hezbollah operatives participate in defending the location (along with a military force composed of Shi'ite volunteers called the Abu al-Fadhel al-Abbas Brigade). 3. Hezbollah does not state the locations of the deaths of the operatives who were killed in the environs of Homs and Aleppo, saying only that they were "killed while engaged in carrying out their duty of jihad." Another source of information are the Lebanese and Arab media, which do note the locations of the operatives' deaths. On the other hand, the Shi'ite (and sometimes Hezbollah) websites explicitly mention the grave of Al-Set Zaynab, or say that the operatives died defending the grave (of "defending the holy places"). The reason is probably to give their deaths greater religious-sectarian legitimacy in the eyes of the Shi'ite population of Lebanon. 4. The number of Hezbollah operatives killed during the past month (23) is far lower than the number killed during the long campaign for Al-Qusayr (an estimated 120). In our assessment that is because fewer of them are participating in the battles for Homs and Aleppo (in our assessment, several hundred), and because Hezbollah is careful to engage in support, advisory and command roles for non-Lebanese Shi'ite networks, and does not throw large military units into battle (unlike its involvement in the campaign for Al-Qusayr). One of the reasons is the strong criticism voiced in Lebanon and the Arab world for its involvement in the Syrian civil war. In fact, a local Hezbollah commander said that in the battle for Aleppo Hezbollah would have a supervisory role and give the Syrian army tactical military advice. 5. Place of origin: Of the 23 Hezbollah operatives killed during the past month, nine came from south Lebanon, eight from the Beqa'a Valley, three from Beirut and three from a Syrian town near the Lebanese border northwest of Al-Qusayr. Of the estimated 200 Hezbollah operatives killed so far, about half (97) came from south Lebanon, a little more than a third (72) from the Beqa'a Valley and the rest from various locations, including Beirut, the environs of Al-Qusayr, Mt. Lebanon and north Lebanon. 6. Seniority in Hezbollah: Of the operatives killed this past month, three were important enough to be given mass funerals attended by senior Hezbollah figures. Two of the three were killed in battle in the environs of Homs and one while defending the grave of Al-Set Zaynab. Two commanded battalions in the Abu al-Fadhel al-Abbas Brigade, a Shi'ite military force based on volunteers from beyond Syria's borders, especially from Iraq. At least one was killed at Homs. That may indicate that elements from the Abu al-Fadhel al-Abbas Brigade, most of whose activity is defending the grave of Al-Set Zaynab south of Damascus, are participating in the fighting in northern Syria, supported and/or commanded by Hezbollah operatives. 1) Ahmed Habib Saloum (Abu Ali Mahdi) was a senior Hezbollah military commander from Nabatieh in south Lebanon. He received a commendation from Hassan Nasrallah. He commanded a battalion of the Abu al-Fadhel al-Abbas Brigade and was killed in the battles around Homs. He was buried in Nabatieh on July 24, 2013, with a mass funeral. Ahmed Habib Saloum (Abu Ali Mahdi) and the funeral held for him in Nabatieh (Websites of Jibchit, South Lebanon and Lebanon 24, July 24 2013). 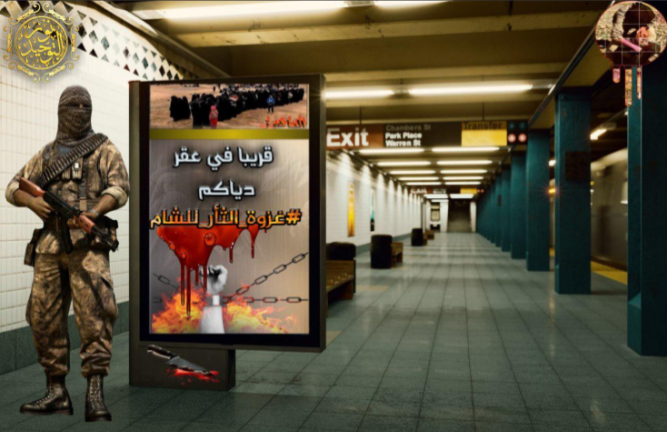 2) Ayman Said Tahini (Al-Haj Taher) was a senior Hamas military commander from the village of Itit in south Lebanon. He commanded a battalion of the Abu al-Fadhel al-Abbas Brigade. He was a comrade of Ahmed Habib Saloum. He was killed defending the grave of Al-Set Zaynab and buried with a mass funeral in his village on July 21, 2013. 3) Khalil Muhammad Khalil Hamid (Al-Haj Haidar) was a veteran senior Hezbollah military commander from Bint Jbeil. He was killed in the battles at Homs. He had previously received a large number of commendations from Hassan Nasrallah. He was buried with a mass funeral in Bint Jbeil on July 13, 2013. Khalil Muhammad Khalil Hamed (Al-Haj Haidar) and the funeral held for him in Bint Jbeil (Bint Jbeil and Shafaf al-Sharq al-Awsat websites, July 13, 2013). 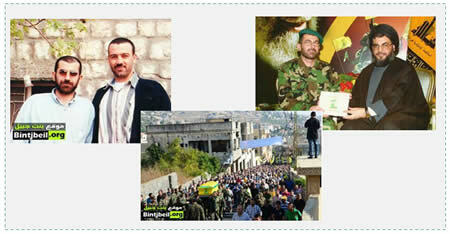 [*]This bulletin updates the June 27, 2013 bulletin "Hezboll ah Operatives Killed in Syria – Update." 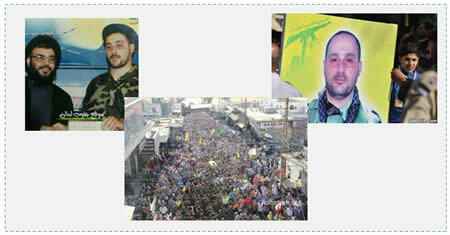 Hezbollah has lost a large number of operatives in the Syrian civil war. However, the reports in the Syrian and Lebanese media of hundreds or thousands of Hezbollah deaths are, in our assessment, exaggerations and meant to harm Hezbollah and slander the Syrian regime. The first bulletin was issued on June 4, 2013, and entitled "Hezbollah Involvement in the Syrian Civil War." 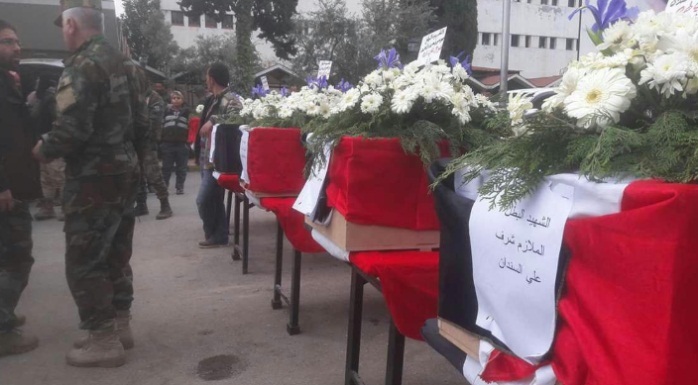 On July 29, 2013, three Hezbollah operatives were buried in the Syrian village of Al-Soumaqiat, lying near the Lebanese border northwest of Al-Qusayr. 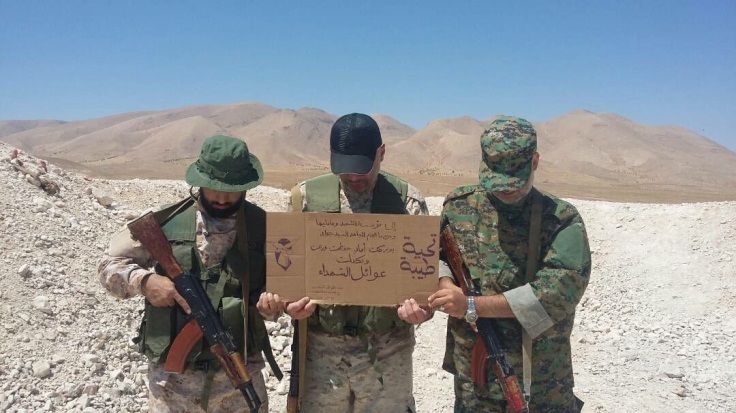 That may indicate that Hezbollah recruited Syrian Shi'ite operatives to its ranks from the environs of Al-Qusayr, possibly to hold areas Hezbollah captured in the campaign for Al-Qusayr, blurring the distinction between Syrian territory and Lebanese territory. For further information see the Terrorism Information Center June 4, 2013 bulletin “Hezbollah Involvement in the Syrian Civil War."